Interport’s 20-foot refrigerated shipping containers (also referred to as 20-foot reefers) have factory-installed refrigeration units that provide the coldest temperatures and lowest humidity of all available shipping container options. They protect food, chemicals, paper, and more from heat, mold, and condensation. 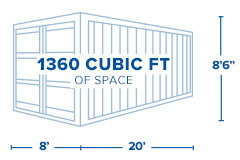 Our 20-foot refrigerated shipping containers are versatile and easy to load, access, and handle. 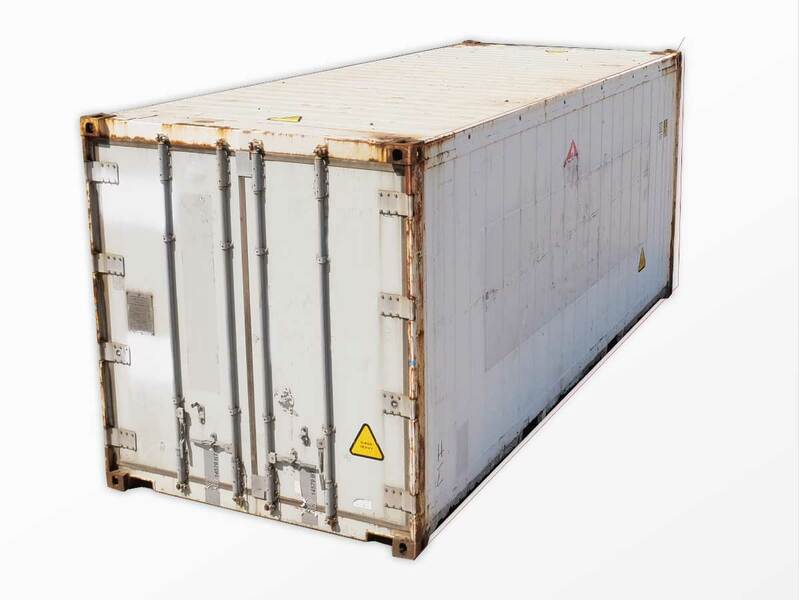 Interport offers 20-foot refrigerated shipping containers, available for immediate sale and next-business-day delivery. Length: 20ft. Length: 17ft. 11in. Width: 7ft. 6in. Gross: 67,197 lbs. Width: 8ft. Width: 7ft. 6in. Height: 7ft. 3ft. Payload: 60,141 lbs. Height: 8ft. 6in. Height: 7ft. 3in. Tare Weight: 7,055 lbs. Length: 17ft. 11in. Width: 7ft. 6in. Height: 7ft. 3in. Width: 7ft. 6in. Height: 7ft. 3ft. Gross: 67,197 lbs. Payload: 60,141 lbs. Tare Weight: 7,055 lbs.